Hey Friends…Who’s ready for FALL?? 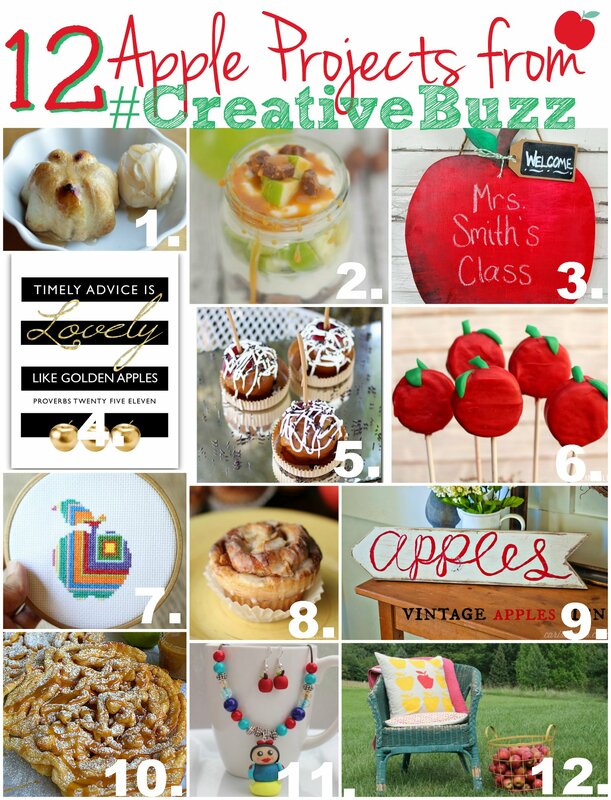 Who’s ready for apple picking, apple pie, apple cider…and 12 Awesome Apple Projects from the #CreativeBuzz Team!? It’s still close to 100 degrees here in Missouri, so I haven’t really been feeling the Fall vibe. That was until I had a Pumpkin Spice Latte at Starbucks this morning. Now, I’m ready. I’m ready for all that goes along with Fall, especially Fall decor…This is my favorite season to decorate for. 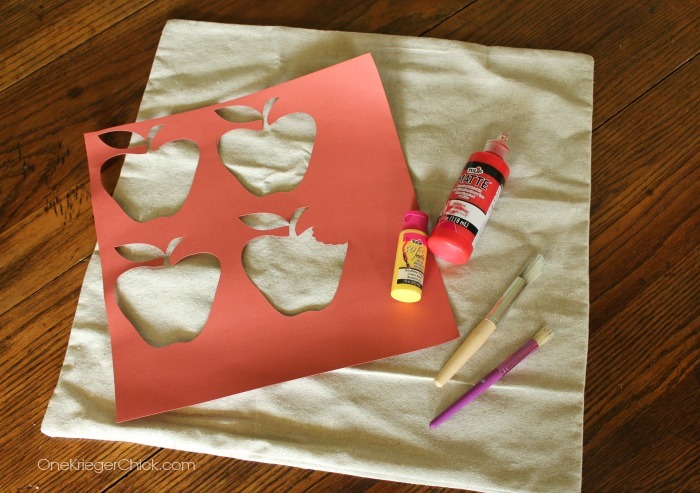 Start by lining up your cutout or stencil and securing with painters tape. Then paint each apple with a pouncing motion. 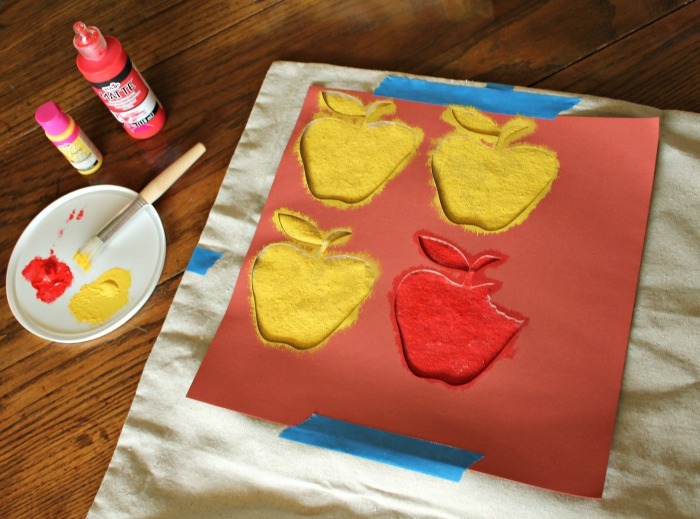 Allow the painted apples to dry before moving stencil. 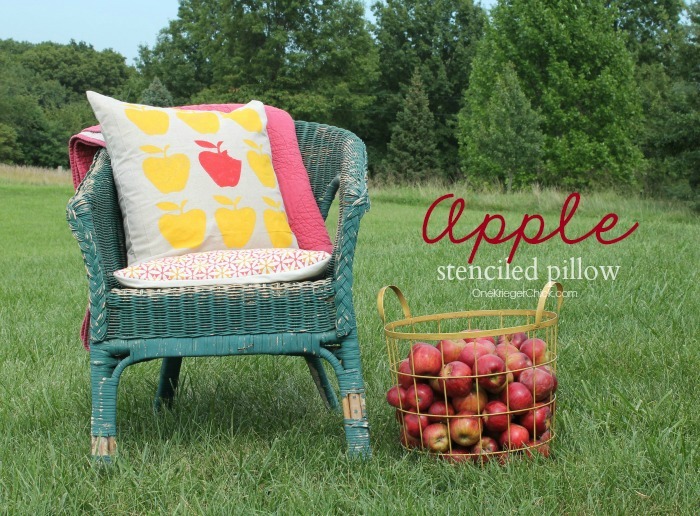 Keep relocating stencil and painting apples until desired amount of apples are painted on pillow cover. Slide cover onto pillow form and enjoy through the Fall months. this turned out really cute – great job! 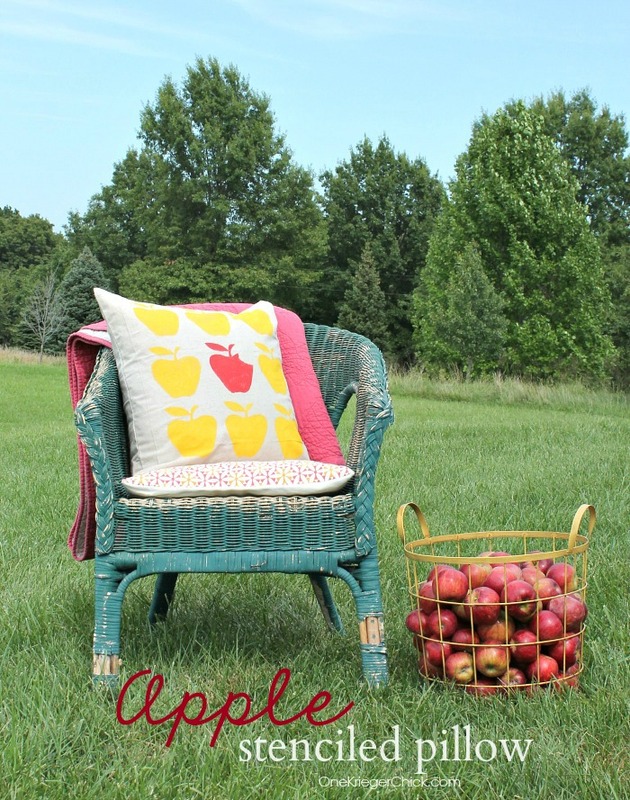 I love the pillow and the adorable basket of apples!